Coconut milk is a sweet, milky white cooking base derived from the meat of a mature coconut. 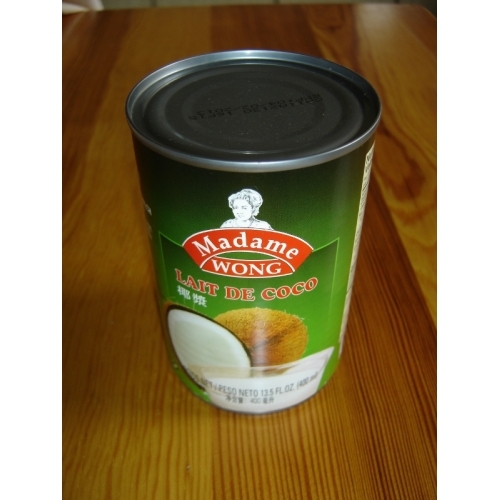 It is a common ingredient in many tropical cuisines, most notably those of Southeast Asia such as Burmese, Cambodian, Filipino, Indonesian, Malaysian, Singaporean, and Thai, as well as Brazilian, Caribbean, Polynesian, Indian and Sri Lankan cuisines. Frozen coconut milk tends to stay fresh longer, which is important in dishes in which the coconut flavor is not competing with curries and other spicy dishes. Coconut milk is the base of many Indonesian, Malaysian and Thai curries. To make the curry sauce, the coconut milk is first cooked over fairly high heat to break down the milk and cream and allow the oil to separate. The curry paste is then added, as well as any other seasonings, meats, vegetables and garnishes.